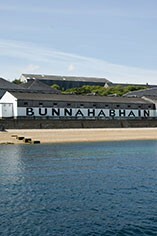 This whisky is a fascinating expression of Bunnahabhain. On the nose, I’m transported to a favourite oyster bar. A dozen, freshly shucked Rock oysters, gentle iodine, even the oak bench. On the palate, the bright sea-air continues through, wafting soft smoke and spice. The finish lingers and tingles like a North Sea sunset.